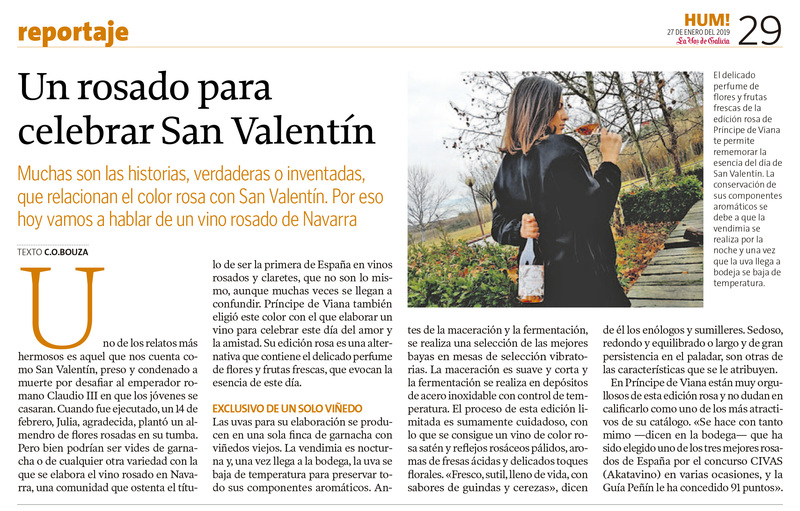 Navarra’s main newspaper dedicates a full page to inform about the extraordinary tasting given by Bodegas Príncipe de Viana’s winemaker, Isabel López de Murillas, to the members of the newspaper’s Readers Club. 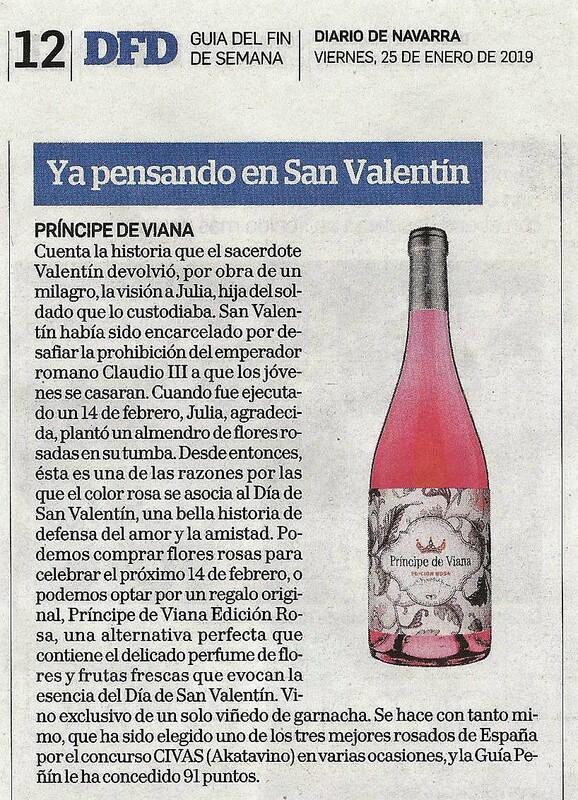 Navarra’s main newspaper recommends Príncipe de Viana Edición Rosa, this cellar’s special rosé wine, for a perfect Valentine Day’s romantic celebration. 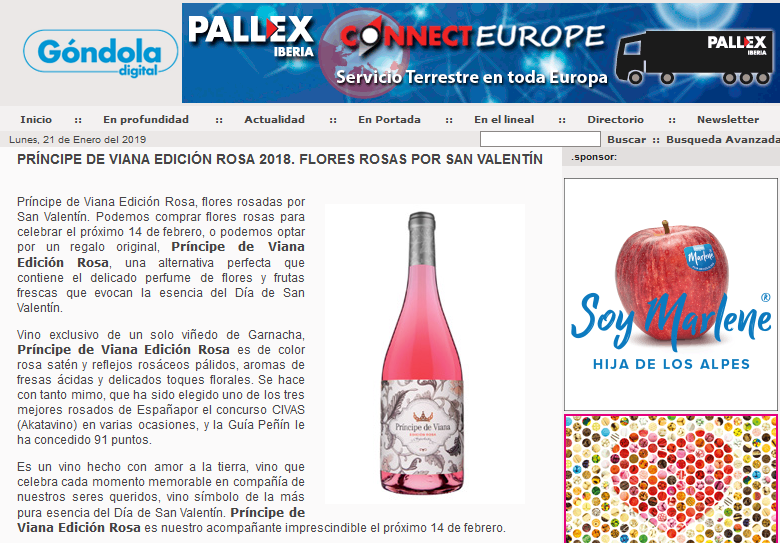 Galicia’s main newspaper recommends Príncipe de Viana Edición Rosa, this cellar’s special rosé wine, for a perfect Valentine Day’s romantic celebration. 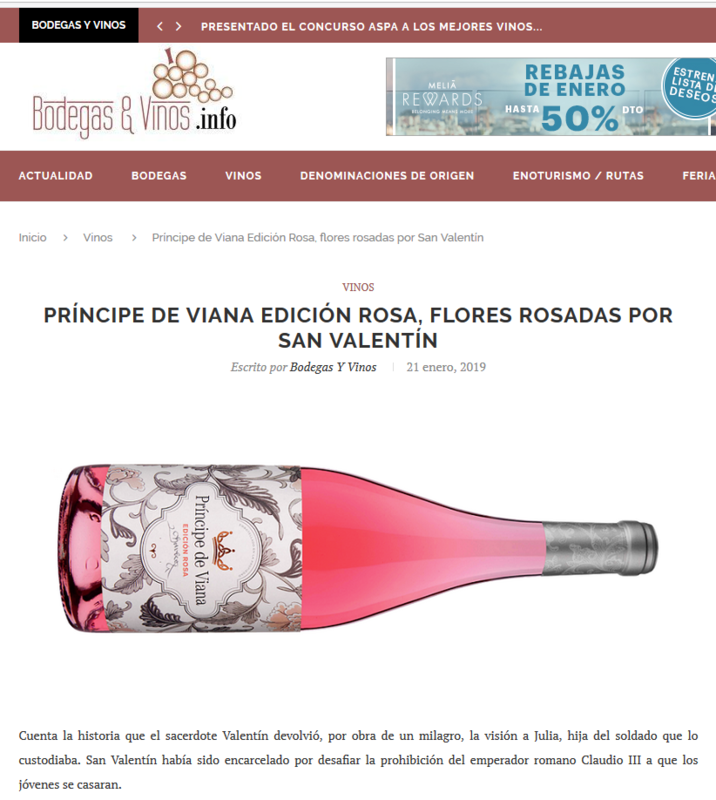 Wine specialized portal recommends the new vintage 2018 of Príncipe de Viana Edición Rosa on Valentine’s Day. 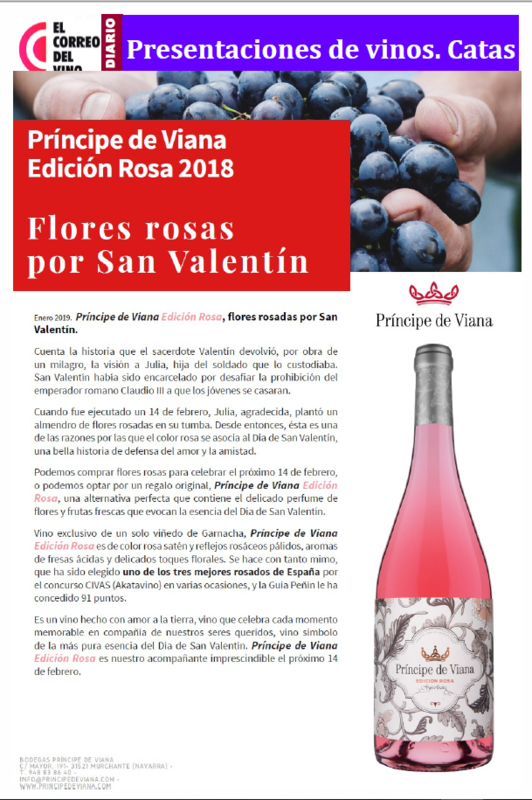 Specialized magazine recommends the new vintage 2018 of Príncipe de Viana Edición Rosa on Valentine’s Day.